Ditto of Marci and luv the added stitched corners! love the dark and silhouette images...nice Kathy! Very creative, my friend! Nice to see you!!!! Hugs! This is darling! 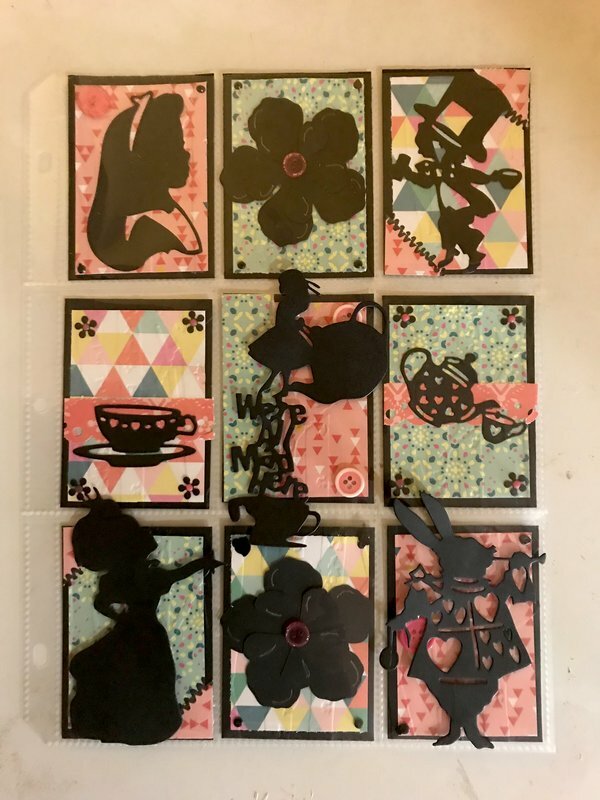 I love all things Alice, so these cute cards make up a great PL! Well done! Love this PL; great theme!